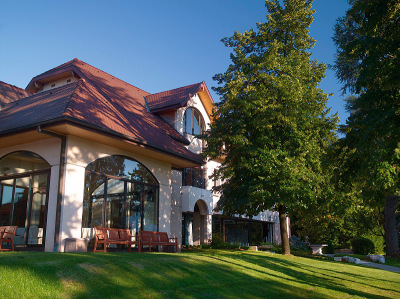 In the 90s, Dr. Charles Mérieux hosted exchange seminars on humanitarian action at the Pensières Conference Center in Annecy. In January 2009, Jean-François Mattei, President of the French Red Cross, Philippe Ryfman, honorary Professor and Associate Researcher at the Department of Political Science at the Sorbonne University, and Benoît Miribel, Director General of Fondation Mérieux, brought together the leaders of approximately forty French International Solidarity Organizations (ISOs), including NGOs and the French Red Cross, to a forum, where, in a congenial working group atmosphere, they exchanged wide-ranging views on the development and the governance of humanitarian action, along with the positioning of their organizations within the international humanitarian community. This pioneer initiative was so well received by the participants that they asked that the gatherings be renewed every 18 months. Four forums were subsequently held in October 2010, January 2012, September 2013, and February 2015, each one generating increasingly positive feedback from the attendees regarding the innovative format and other specifics of this seminar. Leaders of Humanitarian organizations (i.e. NGOs and the French Red Cross) indeed do have numerous opportunities to participate in seminars and conferences on a variety of topics. However, given the hectic pace of their everyday lives, there are few initiatives that allow them to step back and spend time together during encounters, in which they can voice their points of view in a straightforward, confident, and relaxed manner. Since 2013, the “Forum Espace Humanitaire” (FEH) has been opened up to leaders of humanitarian organizations located in countries other than France, and more especially to those from non-Western NGOs and UN agencies, so as to get a broader view on the latest challenges facing humanitarian action today.